The Screen Actors Guild Awards aren't nearly as glitzy as the Golden Globes or as A-list as the Oscars, but there are plenty of opportunities to get up-close looks at potential Academy Award winners, along with up-and-coming stars and seasoned veterans on the red carpet. The stars want to look tasteful but not too overdressed at the ceremony, in which actors pick their favorites in film and television. The styles at this year's ceremony at the Shrine Auditorium in Los Angeles were relatively understated, although there was no lack of jewels — in several cases, stars wore more than $1 million in baubles. Now this is how a star couple dresses. Sofia Vegara chose a custom Vera Wang gown that accentuated her curves, and the fuchsia shade is guaranteed to look good in photographs. Vergara's new husband, Joe Manganiello, provided the perfect accessory in a fitted tux. 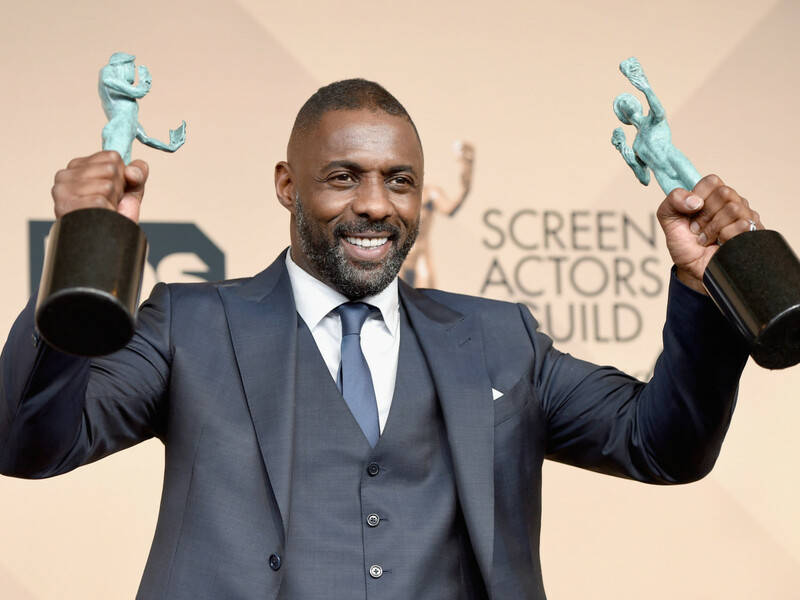 Idris Elba, the evening's only double winner, would look great in anything, although his three-piece tuxedo resembled a business suit and wasn't quite right for the occasion. Helen Mirren was one of the sexiest stars of the evening in a Jenny Packham gown. Rachel McAdams' embroidered Elie Saab gown with full skirt was one of the loveliest on the red carpet. She also wore $1 million worth of jewelry, including Harry Kotlar diamond earrings and rings and a Le Vian diamond ring. We weren't overwhelmed with Brie Larson's powder blue Versace gown, which looks like it got torn at the cleaners, but we were dazzled by the more than million-dollar Tiffany diamonds she wore, including a bracelet from the 2016 Tiffany Blue Book collection. Leonardo DiCaprio, as usual, looked impeccable. 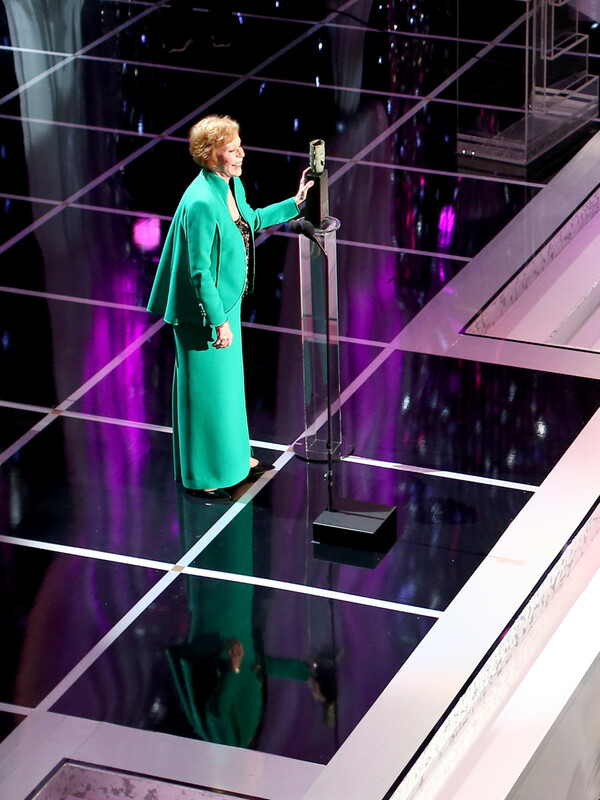 Lifetime Achievement Award winner Carol Burnett stood out in a bold shade of green. Claire Danes is right on trend with a colorblock Stella McCartney gown, accessorized with a Schlumberger lapis and diamond bracelet, diamond earrings, and Schlumberger sapphire and diamond rings from Tiffany & Co.
Nicole Kidman returned to the red carpet in a pale pink and purple Gucci gown that is a little bohemian for our tastes. Laverne Cox stood out in a Prabal Gurung hand-draped asymmetrical chiffon gown with a high slit and trailing sash in a striking Bordeaux shade. 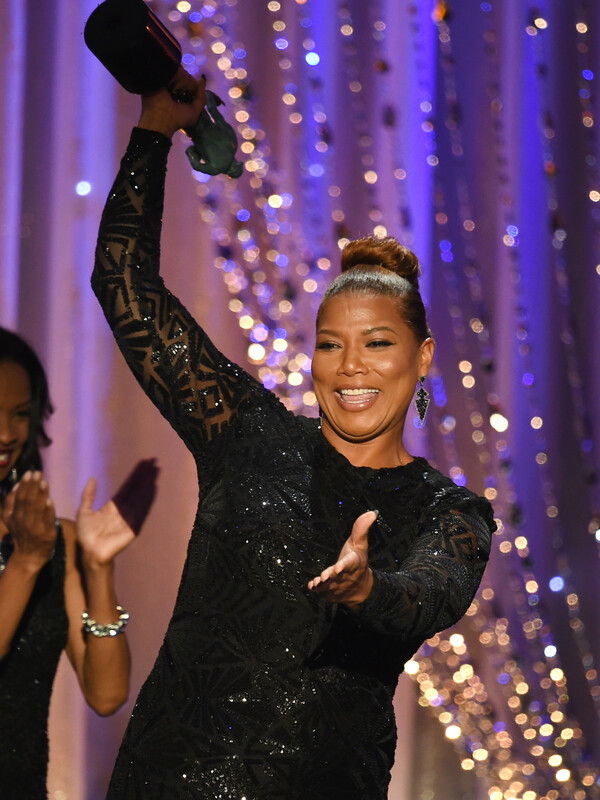 Queen Latifah sparkled in a high-neck, long-sleeved black sequined Michael Costello gown and Fred Leighton jewels. Julianne Moore gets props for the sparkling green color of her Givenchy Couture gown, but the ill-fitting bust was a bust. She accessorized the look with Chopard diamonds. Ryan Gosling looked every bit the leading man in a traditional tux. Kristen Wiig broke from the pack in a love-it-or-hate-it Roland Mouret jumpsuit, Jimmy Choo clutch, and Miu Miu shoes. We love the refreshing red carpet look. Tina Fey went a more traditional route in a Prabal Gurung silk chiffon halterneck gown. The vermillion shade photographs really well. January Jones often veers between a fashion plate and a fashion victim. She's more on the victim side in a Schiaparelli couture dress that engulfs her in too much fabric. Priyanka Chopra's strapless Monique Lhuillier gown makes good use of a floral print — not always easy to do on the red carpet — but it has a bit of a beauty pageant vibe. 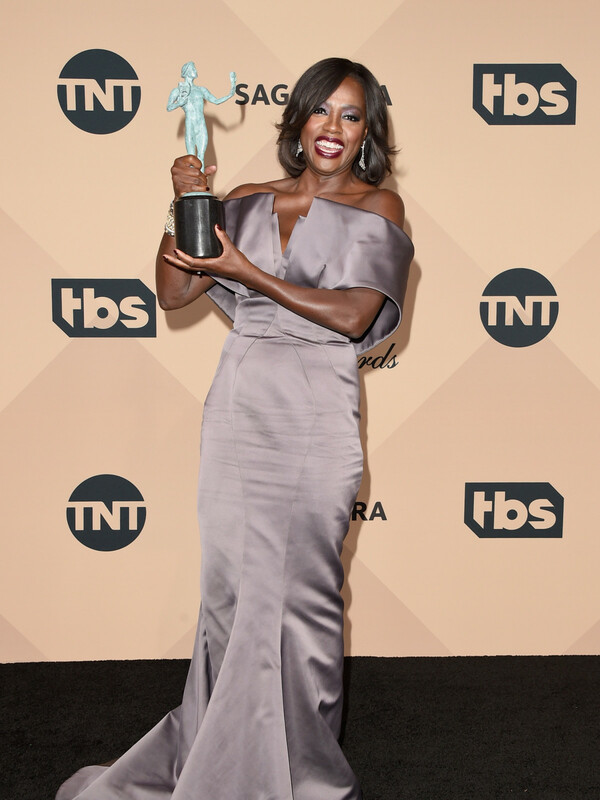 Viola Davis is a winner, but her Zac Posen gown, in a bland plum shade, wasn't very memorable. 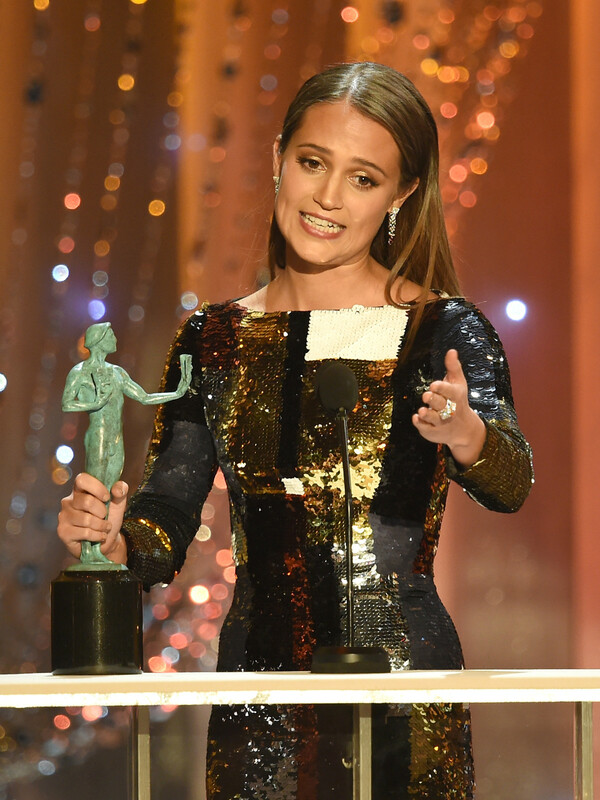 Alicia Vikander was a shiny, happy winner in a sequined, colorblock Louis Vuitton gown in muted shades. We love the color of Emilia Clarke's plunging V-neck Dior gown, but the overall effect is not that interesting. The Mara sisters, Rooney and Kate, showed off contrasting styles, both by Valentino — and sideboobs. 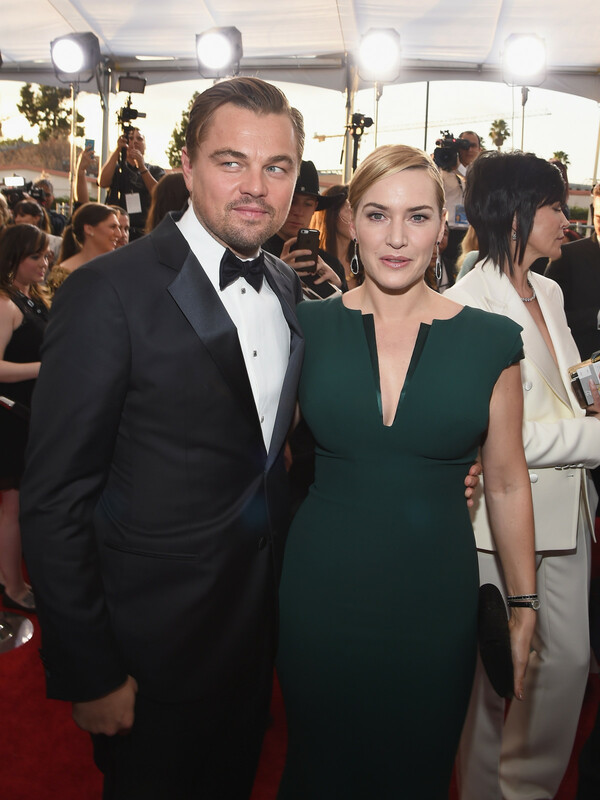 Kate Winslet, in a forest green custom Giorgio Armani gown, and Leonardo DiCaprio have come a long way since their Titanic days.